The Guangsha team and the Zhejiang team have a history of 27 meetings. The Guangsha team has a record of 17 wins and 10 losses and has the top. The Guangsha team is currently ranked third in the standings. Although the record and ranking are good, but for runner-up last season, the prospect of competing for the championship this season sees a little bleak. Guangsha team is not ideal for the strong teams Liaoning team, Guangdong team, Xinjiang team. The line in the Guangsha team has barely changed compared to last season, and the law has also calculated its style of play. From the 38 rounds of the regular season, the defensive opposition of the Guangsha team is reduced, and they are not good at positional warfare. Small foreign aid Fordson and large foreign aid Bolosi personal benefits and disadvantages are obvious, one can not vote, a good long-distance shot is not good to play inside, when they are targeted defense, Guangsha team will be very difficult. The Guangsha team lost 101.05 points per game and was the second lowest team. Their defense is still solid. The Zhejiang team is currently ranked 11 in the standings. Due to the damage, the Zhejiang team suffered a lot of fluctuations and were hit once in nine matches. After the Zhejiang team, which used Dunmen and Paul's dual foreign aid combinations, and the Wu state warming, the team's record has also improved. Zhejiang team's outside line is strong, but inside the line is weak and hidden. Zhang Dayu's physical condition is down or worried by mistake. Zhejiang's inside line has become vacuum and crushed by opponents. From the 38 rounds before the regular season, the Zhejiang team almost lost in overtime, and the key ball handling capacity needs to be strengthened. The Guangsha team only took a day and a half break at the Spring Festival and were prepared to prepare for the league. But in the 11th round of the regular season on February 10, the play was still a big loss for the Jilin team, not only lost but also foreign aid Ford. Then the foul in the game violated, the individual accumulated 4 violations of the error, this round will be interrupted. This round is back to the main scene against the Derby opponents, the only foreign aid being very difficult. The Shanghai team and the Guangdong team have a history of 51 meetings. The Shanghai team has a record of 10 wins and 41 losses and is in disadvantage. The Shanghai team is now ranked 10th in the situation. The Shanghai team started well this season. It was ranked third, but after the injury, the results fell and fell to the edge of the playoffs. Shanghai team coach Li Qiuping, coaching level is high, the team's kneading is done very well, the overall good. After the Spring Festival, the Shanghai team's backline should not have hurt problems, but the inner line Dong Qilin returned from injury without a timetable, foreign aid Scola is older, physical fitness is not good enough, Shanghai team staff is inadequate. The Shanghai team's crime is still too dependent on the little foreign aid Fredette, his game has a big impact on the team. The Guangdong team is currently ranked first in the situation. The South China Tigers started their 18-winning stretch this season and set a new record for the team's history. The 38 rounds before the regular season were lost only to Jilin, Liaoning and Xinjiang. The Guangdong team went from the inside to the back line, and the three lines were strong. The Guangdong team has the United Arab League inside, the strength of the strong need not to say, the dual foreign aid is a little foreign aid, Weems and draenei can also organize the points, plus the younger Zhao Rui, the Guangdong team backline is very strong. In addition to Zhou Peng, Ren Junfei also made great progress this season, with an average of 14.5 points and 6.2 rebounds. Both numbers are personal career heights. The Guangdong team is holding a fast wind in this season. The attack and defense are fast and the crime is sharp, averaging 119.34 points, which is the team with the most points. The Guangdong team had a 37-point victory over the Shanghai team at home this season, and successfully limited Fredette, let it only get 16 points, lowest points for a single season this season. I believe this war war, the Guangdong team's backline can still rely on the wheel war to consume Fredette, limit his game, rely on the overall strength to kill the Shanghai team, and achieved 12 consecutive wins. Guangzhou team (including the predecessor Foshan team) and Beijing team history 17 times, Guangzhou team record of 4 wins and 13 losses, is in disadvantage. The Guangzhou team is currently ranked 13th in the standings. It opened higher this season and suffered a four-match loss lead before the Spring Festival. Guangzhou team's lineup this season is better than in previous years. The arrival of the West Heat River has also improved the team's defense to some extent. Foreign aid Fuge averaged 34.2 points, 8.2 rebounds and 7.8 assists, ranked sixth in the scoring average. He scored 60 points in the 33rd round of the regular season against the Fujian team, creating a personal season. The single game is highest, and it is also the highest score in the second step player. The little foreign aid is very hard, but the foreign aid is headache. Due to the suspension of Speights, the Guangzhou team must switch to Jefferson. Jefferson was undersized, shooting and protecting the basket. He didn't have the ability to attack. In addition to Yan Mingxin, West Relijiang and Chen Yingjun, the local team Guangzhou team has a limited contribution on the offensive end. It is reported that the Guangzhou team has written Lorenzo-Brown, who played for the Zhejiang team last season. The Beijing team is currently ranked fifth in the situation, averaging 93.24 points per game, the team with the least points and the only team with a score below 100 points. In addition to the reason why the Beijing team has fewer offensive and defensive rounds, the Beijing team's defense is really better, not just defensive but also holistic. The Beijing team is aware of sharing the ball and paying attention to playing the whole. The team has strong tactical literacy. However, the internal problems of the Beijing team have not been resolved for many years. In addition to foreign aid Hamilton, the local Qiu Tian and Chang Lin have no independent attack capability. . In addition, the Beijing team's backline has some problems, Liu Xiaoyu's ups and downs, Fang Shuo's personal competitive position is diminishing, the team's organizational pressure is not small. The Beijing team is a jump team. If the outside has a high hit rate, the probability of winning will be great. From the strength of the two teams, the Beijing team is obviously stronger, they have defeated the Guangzhou team at home. This round is another battle. As long as the preparations are sufficient, the Beijing team should be able to beat the Guangzhou team on the road and win a three-match winning line. The Shanxi team and the Xinjiang team have a history of 28 meetings, and the Shanxi team has a record of 6 wins and 22 losses, which is a drawback. The Shanxi team is currently ranked 14th in the stand and was hit by a four-game solution before the Spring Festival. Shanxi team itself is not strong inside, the double foreign aid signed a small foreign aid Bobby Brown and "not three or four" Muhammad, in combination with the local center Ge Zhaobao accident, the inside of the team is worried. Bobby Brown has a competitive decline due to age, averaging 24.6 points, ranking in the lower alien of the small foreign aid. Although Muhammad can make a sudden investment, he has an average of 29.4 points and 11.5 rebounds per game, but it's hard to drive. team. The local layout of the Shanxi team seems to be OK, but the defender has no ball points, starting points and no stable pots. Although this season, during the Wang Fei defense, defense has increased, but it is not enough. The Xinjiang team is currently ranked sixth in the standings and won a four-player winning line before the Spring Festival. During the 38 rounds before the regular season, the Xinjiang team experienced a change of race and a great deal of foreign aid. The record is upside down and not sufficiently stable. From the ruling point, the Xinjiang team is very strong, the small foreign aid Adams has an average of 37.6 points and 8.1 helps, ranking third in the scoring list. Although Haddadi's foreign aids are older, his ability to protect and protect the basket is very strong. Li Gen, Budu Shamu, Sun Tonglin, Fan Ziming, Yu Changdong and other domestic players are also good. The Xinjiang team has their own problems. In addition to the lack of integration, Adams and Haddadi are not on a frequency, a rapid counterattack, a slow speed, suitable for position war. In addition, the local defender, in the case of Zeng Lingxus injury, has no stable position. Ball Point. It is reported that during the Spring Festival, Jarnell Stokes, who played for Zhejiang team last season, has entered the Xinjiang team. I wonder if the registration will be completed and if the first game after the spring party can be presented. The Xinjiang team has many people inside, which is obviously stronger than the Shanxi team's inner line, while the outside small aid Adams has full effect. Under normal circumstances, the Xinjiang team should be able to beat the Shanxi team and win five consecutive wins. The history of the Peer team and the Liaoning team is only 9 times, and the team's record is 1 win and 8 losses, which is a drawback. The team is currently ranked 16th place. Have missed the playoffs in advance. Small foreign aid Joseph-Yang had a strong attack, averaging 36.2 points, ranking fourth, but could not lead the domestic lineup. The same team is weak inside, the big foreign aid in Austin was 16.1 points and 8.1 returns per game, which is not much stronger than the average home team. Domestic insider can help defend, the crime is not good, Hui Longer and Wang Rui also have weaknesses. Feng Xin, Yang Li, Yu Changchun and other players are either injured or interrupted, and the team does not rotate enough to fight. Customers scored 100.03 points per game, which is the second lowest team. It's just higher than the Bayi team throughout the China team. The crime is not good and the defense is not good. There is no system. The Liaoning team is currently ranked second in the standings. The defending champion has won 25 consecutive wins this year's season and constantly refreshes the team's longest winning line, but is also expected to be unexpectedly lost to Shanghai, Jilin and Zhejiang. The Liaoning team has more players, so the long-term damage of Zhao Jiwei and Liu Zhixuan has limited impact on the team. The small foreign aid Hudson's individual competitive position has diminished, but local defender Guo Ailun is in good condition, with an average of 22.4 points and 4.5 rebounds. With 6.1 helps, all three numbers are career heights. The Liaoning team has locally-centered Han Dejun, which makes them feel free to use the little foreign aid Hudson in the last quarter of foreign aid, without having to worry about the inside. After Liu Zhixuan and Zhao Jiwei recovered from injury, the Liaoning Law Order became comprehensive, but the strike was weaker and the recovered protection was not enough. The Liaoning team's small foreign aid Hudson has been suspended four times due to a total of four violations. Although there is a single foreign helpline, given the strength of the Liaoning team, if there is no accident, this round could defeat the opponent and get two consecutive wins. The Sichuan team and the Jiangsu team have a history of 19 meetings. The Sichuan team has a record of 7 wins and 12 losses and is in disadvantage. The Sichuan team is currently ranked third in the bottom of the standings and has missed the games ahead of schedule. After the Sichuan team won the championship using the three foreign aids, the record has fallen and the main championship is just veteran Mengda. This season, the Sichuan team came up with the help of the third foreign aid, and they can use double foreign aid in four quarters, so they can often take the lead in the first quarter with the benefit of double foreign aid, and they always return in the last quarter of foreign aid. The Sichuan team's domestic range is old, small and small, and the local range is not good. There is no stable score in both the inside and outside. Therefore, the foreign aid to Franklin in the last quarter, the inner support is hard and foreign aid Jason Thompson There are no strong attack points on the outside. In addition, the Sichuan team's outside shot is poor, averaging 31.2% per game, ranking first in the bottom. The Jiangsu team is currently ranked 12th in the stand and is on the edge of the playoffs. The Jiangsu team had no "Little Kobe" Marshall Brooks this season, and the outside attack force dropped. Although Dyson was replaced by Sloan, offensive offensive firepower was limited. The Jiangsu team has a strong internal line. In addition to foreign aid Ladulica, Wu Guanxi, Li Yuanyu and Liu Wei, especially Wu Guanxi, have an average of 10.2 points and 7.4 rebounds. Both numbers are personal career heights. The local defender is relatively poor, Shi Hongfei can vote, but the height is not enough, Cao Fei's personal ability is not good, more mistakes. Jiangsu's current away match against the Sichuan team is not easy to double-kill the opponent, in addition to the recording inside, but also the backline contribution, to limit Franklin's firepower. North Control Team (including the predecessor Chongqing team) and Shandong team history just 10 times, North Control team records of 4 wins and 6 losses. The North Controls team is currently ranked first at the bottom of the standings and has missed the matches before the schedule. The North Controls team is the only team that lost to the Bayi team throughout China, four times, which is very embarrassing. North Control Team changed coaches and changed overseas support. Little foreign aid Pierre Jackson averaged 39.8 points per game and ranked first in the scoring list. Even if he tried his best, it would be difficult to win the team. When he was injured, the North Control team was even more so. It is hopeless to win, and the same is true after the change of Redondo. The North Control team has suffered a 14-player loss lead. The Shandong team is currently ranked eighth in the position. After the return of the old Lawson, the strength of the Shandong team has increased and the record has improved. However, the performance of the Shandong team has risen and can win the strong teams like Xinjiang. Give North Control and another weak journey. The strength of the Shandong team is strong. 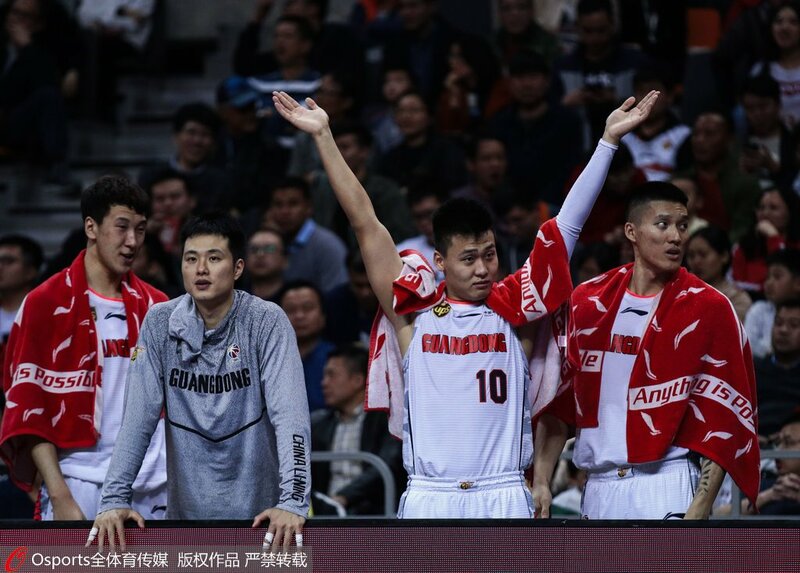 In addition to the foreign aid Motiejunas, Tao Hanlin, Wu Hao and Jia Cheng also have some strength. The defense has no stable ball point except Lawson. Zhang Qingpeng has a heavy attack. Wang Haoheng played an unstable role, and the attack line dropped considerably after the front line left Ding Yanyu. The strength of the North Control Team is weak, and the record is a mess, but they have won the Shandong team in the home and the playoffs. In this round of confrontation, the Shandong team will definitely try their best to avoid being chilled and killed by opponents. Limitation of Liability: This article only represents the author himself, Sohu is the information publishing platform and Sohu provides only information storage space.